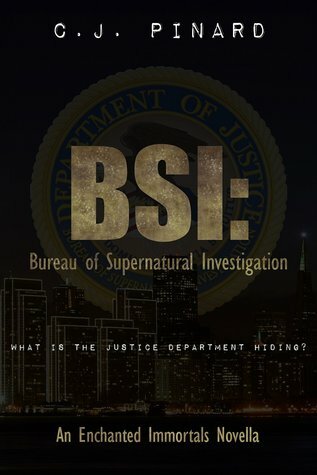 I was so excited to get BSI for free on Amazon. I love “Supernatural Cop” stories, and this sounded right up my alley. Sadly, I was disappointed. The editing of the book is horrendous. It is filled with misused words, bad punctuation, and every other sort of editorial and writing mishap I can think of. It is curious that books this badly edited are still gaining five-star ratings? I see the author has several books out on the market, so possibly it is the “Gray” conundrum – a book or author is popular with a group and suddenly they can do no wrong? I would hate to think that readers these days are so inured to bad writing that they simply overlook the fact that books are poorly written and edited. That reflects poorly on readers and writers everywhere. I find it difficult to believe that writers simply don’t care about the quality of their work, but I am sadly led to believe that this is the case based on clear evidence from the number of sloppy presentations I have been subjected to over the last months. Oh, and BTW? Fingerprinting was being used in 1858. Sir William Herschel, the British Administrator in District of India, began requiring both fingerprints and signatures on contracts. In 1891 Juan Vucatich of the Argentinean Police Force began using fingerprints for identification of criminals. In 1892, Sir Francis Galton published the first book on fingerprint analysis, setting up a system that was known for the next century as “The Galton System.” These are just a few of the highlights of the history of fingerprinting as a criminalistics tool. It wasn’t something “New” in 1946. If you are going to write about technical issues, please do your research? This book had potential, but to my great disappointment it was not realized and I finally gave up and DNF. Thanks for the warning. I read a chapter and put it away. Oh that’s so disappointing – looks just like my sort of read, but like you, I can’t bear poor editing, and it would annoy the hell out of me, so I shall steer clear. Thanks for the heads up. Always here to help! 😉 What cha’ reading? The second in Deborah Blake’s Baba Yaga series – Wickedly Wonderful. This one is best so far – they are light paranormal romance about the Russian witch of legend, updated to USA today. I have that book on my list, but haven’t gotten to it yet. The evenings are getting cooler, however, which means cuddles on the couch with tea, quilt, and good books! I have been slacking on my reviews, I am sure you have noticed (grin). Just haven’t had the oomph to do much of anything in the heat!